We have created our Press Fit 24 and Press Fit 30 Bottom Brackets to uphold the Chris King standard of precision craftsmanship and high-performance construction. 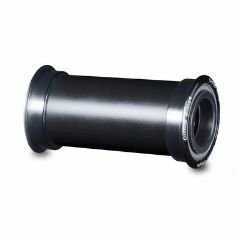 Based on our phenomenally successful Threaded Bottom Bracket system, our Press Fit BBs will give our customers the same performance, serviceability, and dependability that they have come to expect from every Chris King product. With a range of available Conversion Kits we are proud to offer a Chris King solution to your Press Fit needs. For over 35 years we have made each and every one of our stainless steel sealed bearings in-house. These bearings are the heart of every Chris King component. Our proprietary process allows us to control every step of their manufacture, giving them exceptional smoothness and unparalleled durability. This level of manufacturing control enables us to produce components that are not subject to production compromises and our Press Fit bottom brackets are no exception. Our legendary angular contact bearing design allows our bearings to be adjusted as they wear in; so your bottom bracket won’t wear out. 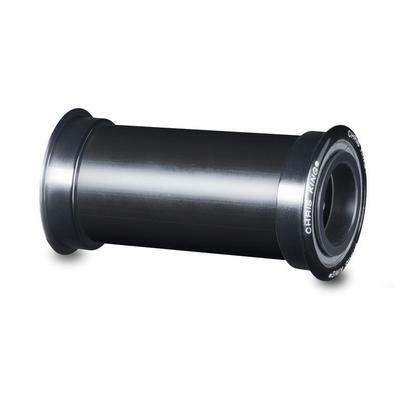 We have designed our Press Fit BBs to work seamlessly with our precision-made injector tools to make flushing new grease into our bottom brackets a quick and easy operation. This combination of strength and serviceability gives us the confidence to offer an industry-leading 5-year warranty on our bottom brackets. Fully serviceable sealed bearings. Available in Ceramic (white) or Stainless Steel (black) options.